In October 2015, Kenya’s NGO Board threatened 957 NGOs with de-registration for failing to remit their financial reporting to the Board—most of those named denied the charges outright. Only a few months prior, the Cabinet Secretary for Defense issued a listing of individuals and institutions that were suspected of having funded terrorism. Among those listed were two prominent NGOs, one of which had been working with the Independent Policing Oversight Authority to investigate cases of extrajudicial killings and forced disappearances. The matter of stifling their operations ultimately ended up in court for appropriate adjudication, and the actions against both organizations were reversed by a court order. This fight for legitimacy is nothing new: Kenyan civil society has been battling the government over operating space for decades. In early 1990, when the Paris Club resolved that humanitarian assistance to Kenya would be facilitated by the NGO sector, the country’s leadership developed a sudden—and understandable—interest in the NGO sector. Who were they, what did they do and (presumably) how could the government get a handle on the sector and get access to funding? Shortly after, the NGO Coordination Act of 1990—establishing registration and licensing procedures for NGOs—was debated and passed in parliament. However, this law was only operationalized in 1992 following many amendments negotiated between the sector and the Kenyan Government. The sector’s significant push back on the NGO Coordination Act is itself instructive, given the range of strategies and tactics adopted, and the sense of solidarity that was attained at the time. An ad-hoc group led the fight by identifying a range of pressure points—within government and the international donor community—through which to demonstrate how the new law would negatively affect the operations of the sector. At the same time, the group consulted widely within the sector and legal advisors to generate consensus around the necessary changes. The group then entered into direct negotiation, at the urging of the international donor community, with a government representative. In the end the Act was amended to take account of all the CSO concerns and operationalized soon thereafter. The CSO sector initiated a discussion to identify the ultimate aspirations of the sector and how these might be articulated to form the basis of a legislative regime.Fast-forward to the national elections that took place at the end of 2002, when the Kanu regime lost power after having ruled for the previous 39 years. Under President Mwai Kibaki, many long-standing civil society leaders were appointed to strategic positions. In 2006, the Kibaki Government issued a policy statement, indicating that the NGO Coordination Act of 1990 was due for a major overhaul. These new policies were to deal with the extensive “splintering” that had occurred within the sector in the intervening period. But the expected revisions were apparently not a high priority, as the government did not follow through. In 2009, the CSO sector initiated a discussion to identify the ultimate aspirations of the sector and how these might be articulated to form the basis of a legislative regime. The majority of progressive organisations in the sector were actively and unanimously involved in the country’s constitutional reform process, and ultimately the campaign that led to its promulgation in 2010. Many of these played an active role in both the actual constitution reform debates and, thereafter, were involved in the referendum that adopted the constitution. Soon after this reform became Kenyan law, what started as a casual conversation between CSO leaders around the necessary ingredients for an enabling environment became the basis for the Public Benefits Organizations Bill. After the first reading of the proposed law in parliament, many of those involved in crafting and shepherding this effort perceived it to be a short-term effort which would “roll on its own momentum” once it got going. At this early stage, the process went relatively smoothly and the Act was assented to by President Kibaki in January 2013. 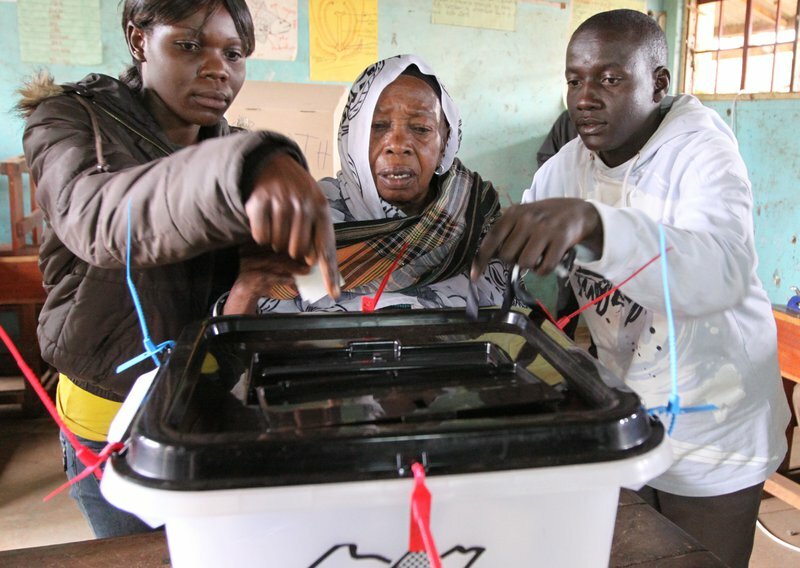 At the national elections held in Kenya in March 2013, the ruling Jubilee Coalition came into power. In their campaign manifesto, the coalition envisioned the creation of a Charities Law—much like what exists in the United Kingdom today—to guide Government relations with the CSO sector. But the reality of an ongoing indictment of the president and his deputy by the International Criminal Court presented a problem, as did the active advocacy efforts by several CSO sector members who had actively supported the effort to secure justice for victims of the 2007 post-election violence in Kenya. These realities pitted the sector against the Jubilee government. Consequently, rather than commence the Public Benefits Organization Act (2013) of the previous administration, the new government proposed sweeping revisions. Amongst these was the suggestion that CSOs should not receive more than 15% of their total budget from sources outside the country—a measure undoubtedly inspired by the Ethiopian NGO laws that would effectively cripple most of the sector. The CSO sector resisted this effort successfully by extensively lobbying members of parliament and taking time to explain the possible effects of the envisaged changes. They invited policymakers to take due account of the numbers, such as how many direct jobs would be lost on the mass closure of CSOs. Still, despite the constant demands of the sector for the commencement of the Act in its original form, the Cabinet Secretary responsible for CSO oversight constituted a Task Force to consult the sector on “necessary amendments” and propose a way forward. What started in 2009 as a well intentioned, proactive, “one time” exercise to define and create the kind of operating environment the sector would like in Kenya, has turned into a long-term battle. Continuing efforts to protect the space that exists are being led by the Kenyan NGO community through a loose coalition, which includes a wide range of stakeholders and has reinforced the solidarity needed for the struggles ahead. The effort to secure the commencement of the PBO Act of 2013 without any changes, is led by a Reference Group, which has developed a strategic plan that proposes to pursue this goal systematically going forward. Advocacy, leadership development within the sector, and the education of the public will feature as important steps in this effort. International CSOs are actively supporting the initiative while remaining sensitive to the need to remain in a purely supportive role. On the positive side, this struggle to actively protect our space has enabled the sector to better define its aspirations and build bridges between different stakeholders within civil society, as well as with other sectors.